There’s just something about a roast beef sandwich. Classic, delicious and perfectly simple. And while our roast beef tastes like our grandmother could have been cooking it all day, luckily you can pick it up easily from your deli counter. 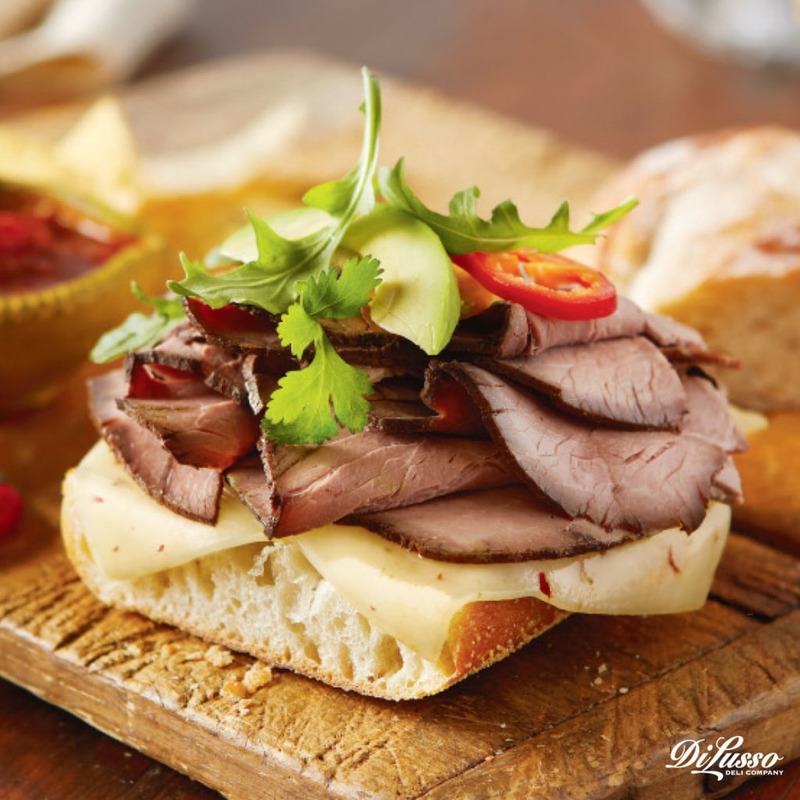 We’ve put a twist on a few of our favorite roast beef recipes by adding DI LUSSO® Cajun Style Roast Beef. Some pretty delicious things happen when you pair a little bit of Cajun heat with some tasty imagination. Below are five tempting ways to enjoy. Mexican meets Cajun. This open face Mexican Torta is as beautiful as it is delicious. Served on Mexican bolillo, or your favorite crusty roll, it’s layered generously with refried beans, pepper jack cheese and Cajun style roast beef. Top it with fresh arugula, red onion, ripe avocado and a squeeze of fresh lime. This may not be your mom’s roast beef sandwich, but we’re certain she’d approve. Fork and knife optional. Be Someone’s Hero. 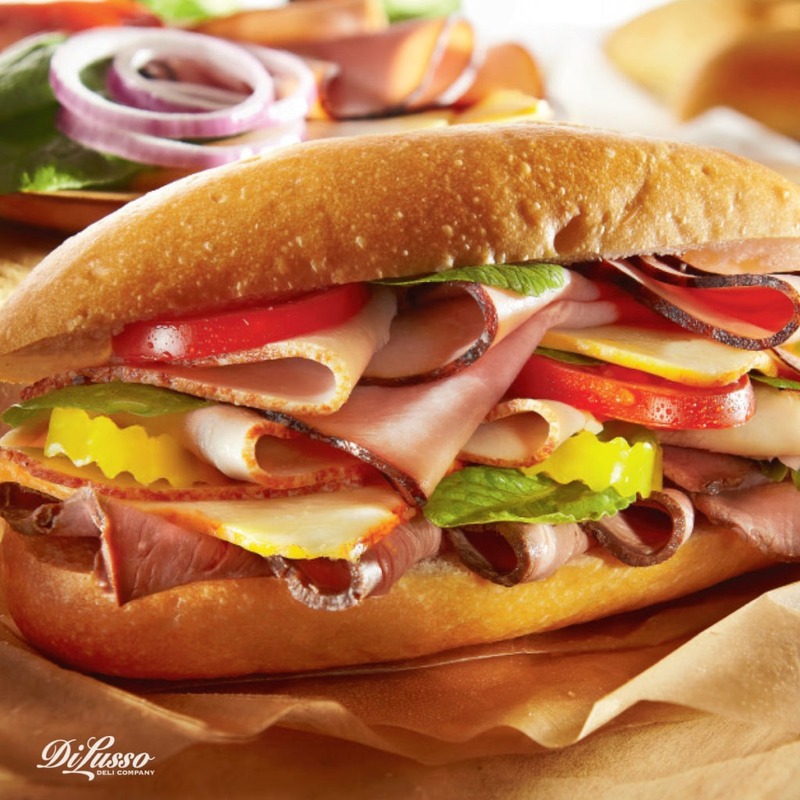 We’ve replaced the seasoned roast beef with DI LUSSO® Cajun Style Roast Beef in this classic Hero Sandwich. Oven roasted chicken breast and Muenster provide a mellow compliment to the Cajun spice. Stack it high on a fresh hero sandwich roll with ripe tomatoes and cold, crisp pickles layered in. Banana peppers too, if you dare. A final touch of fresh basil adds an unexpected hint peppery sweetness. Simple and sophisticated Roast Beef and Sun-Dried Tomato Rollups are perfect for entertaining, sharing with friends or even a bread-free lunch. With only four ingredients, they couldn’t be easier. We’ve added a hint of spice by swapping the seasoned roast beef for sliced Cajun roast beef. 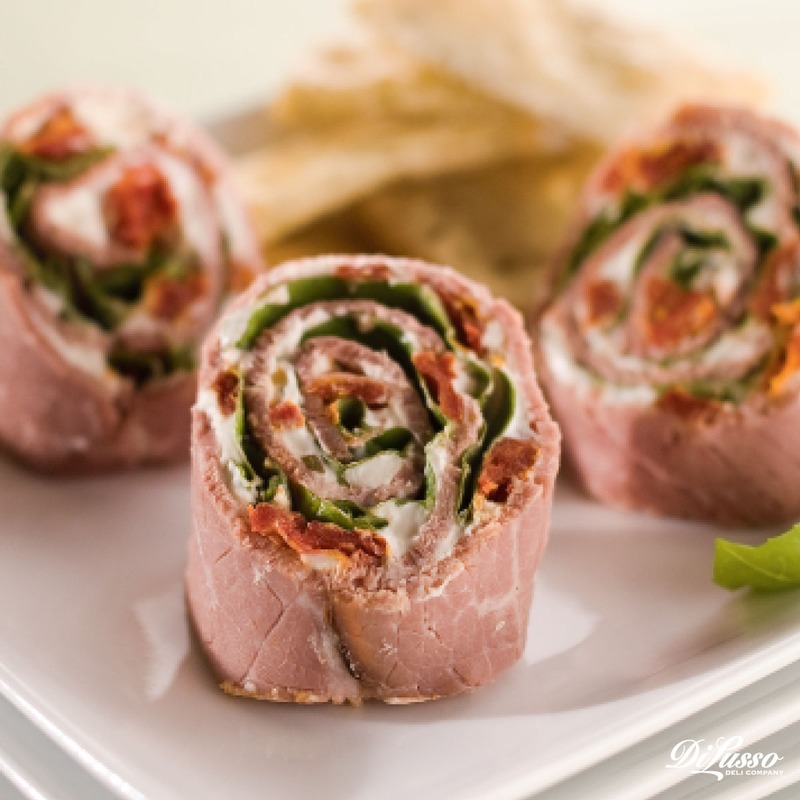 A little cream cheese spread on each slice, chopped sun-dried tomatoes and fresh basil leaves is all it takes. Just roll, slice and enjoy. Sliders with spice. Your family will hardly remember those mini burgers once they try these Roast Beef Sliders. Caramelized onions and provolone provide a sweet, savory, yet mellow contrast to the Cajun roast beef which we’ve substituted for the more mild seasoned roast beef. Layer between a split soft roll and brush with Worcestershire and butter. A little garlic pepper to finish and a sprinkling of poppy seeds. You’re ready for a mouthwatering weeknight dinner or a scrumptious Sunday afternoon get together with friends. 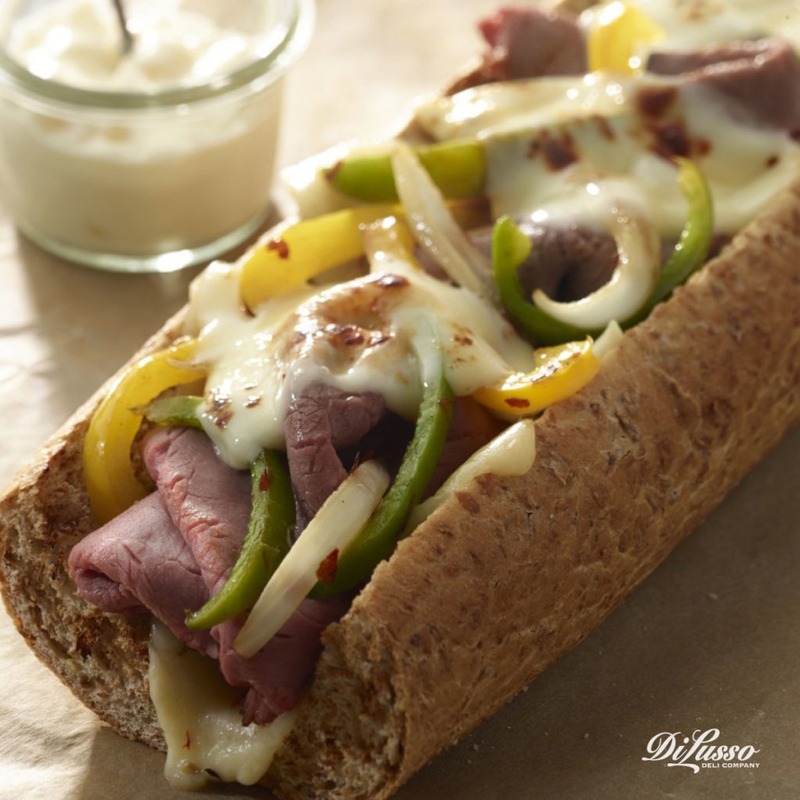 Philly Cheese Steak lovers will fall in love all over again when you switch up this classic with DI LUSSO® sliced Cajun roast beef. Covered with colorful bell peppers, onions and melted mozzarella and served on your favorite crusty baguette or bun. For a sprinkle of heat, add a dusting of red pepper flakes. The distinctive Cajun flavor brings this sandwich favorite to a whole new level.